Over 40% of the unique visitors to the retailer's product landing pages were referred by Search (17%) or by sites within the Google Content Network (23%). Compared to 16% from the retailer's home page ad. Search and sites within the Google Content Network are effective connectors between brands and their product landing pages on retailer sites. The product landing page is where the brand can communicate product benefits and include any special offers unique to that retailer. This will be the call to action that drives consumers to that retailer. 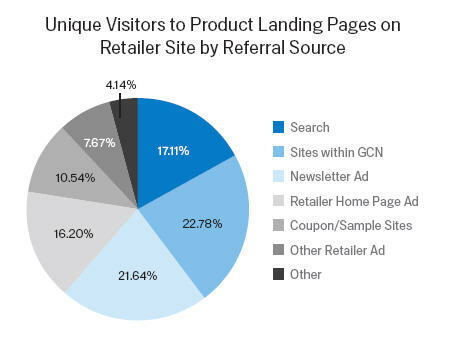 Among the search referred unique visits to retailer's landing pages, 80% were driven by sponsored search. 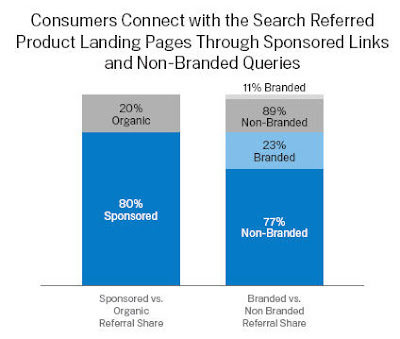 Within the sponsored search activity, 77% arrived via a non-branded keyword. Sponsored search is an effective tactic that can aid consumers in the discovery process when they search. 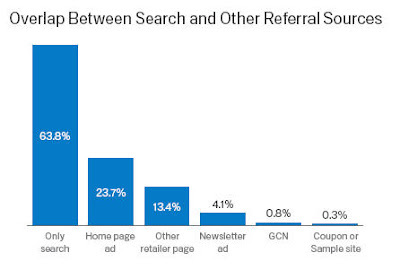 Most consumers enter the search process through a non-branded query. Therefore, text ads that show against non-branded keywords can help navigate consumers to your product landing page. 2 out of 3 searchers exclusively relied on search and no other media vehicle to find the retailer's product landing page. There was very little overlap between those who discovered the product pages from the Google Content Network and other sources. Search and the Google Content Network are efficient vehicles to connect with unique consumers and drive them to product landing pages embedded within a retailer's site. Are you interested in learning more about display advertising on the Google Content Network? Join us for a webinar on Thursday, May 20th at 2:00pm - 3:00pm EST / 11:00am -12pm PST, featuring Product Management Director for the Content Network, Brad Bender, and Head of Sales for the Content Network, Bruce Falck.